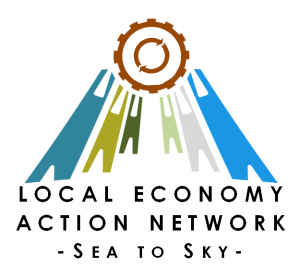 The Sea to Sky Corridor Local Economy Action Network (LEAN) is project of the Whistler Centre for Sustainability, with a purpose of creating a greater shared value-based local economy in the Sea to Sky Corridor. Through collaboration and collective action with and among Sea to Sky Corridor Partners, it will create inspiration and learning, new networks and partnerships, new/alternative business models, and a new culture for economic development. The Social Venture Challenge Program started in 2015 and has run every year since. The program concludes with a fun Dragons’ Den style community event. 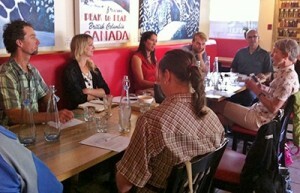 The SVC was created to encourage, support and grow social ventures in Whistler, Pemberton, Squamish and the Lillooet by providing capacity building, mentorship, and business development learning opportunities to non-profit organizations, businesses and entrepreneurs to develop their business concept. A social venture is an organization (business or non-profit) that uses business strategies to create community impact (social and/or environmental benefit). Find out how you can get involved in BC Buy Local! Based on the idea of a Dragons’ Den, the Angel Den is a venue for providing support, encouragement and hard-hitting business advice to new shared value business propositions in the Corridor. The Whistler Centre for Sustainability has held three Angel Dens to support local entrepreneurs and business owners with new business ideas and challenges. Why is Money Mart so busy?